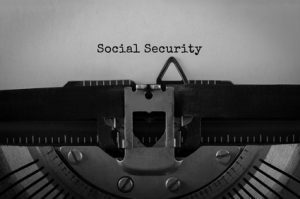 On December 17, 2018, the Social Security Administration published an advanced notice of proposed rule making in the Federal Register [83 Fed. Reg. 64493] asking for public input about whether the way in which Social Security considers pain in connection with its determination of disability is consistent with current trends in medicine and medical practices. The public has until February 15, 2019 in which to submit comments. Currently, the Social Security Administration has in place a regulatory process to evaluate pain in connection with disability claims. 20 C.F.R. 404.1529 and 416.929 sets out a two-step process to evaluate a claimant’s pain and how that pain may interfere with working. At the first step, the Social Security Administration considers whether the medical problems (medically determinable impairments) which the claimant has can reasonably be expected to cause or produce pain. If the medical problems can reasonably be expected to produce or cause pain then Social Security goes to the second step. At the second step, Social Security evaluates the intensity and persistence of the pain. At the second step, the evaluation is based on the evidence in the record. There are 7 main areas which Social Security is interested in obtaining information through the December 17, 2018 request for public input: 1.) any changes which Social Security should consider about how it assesses pain; 2.) are there methods in the U.S. which are used to evaluate the intensity and persistence of pain (such are scales, scoring of tests and questionnaires); 3.) how is pain evaluated in public and private disability programs; 4.) whether acute and chronic pain should be assessed the same; 5.) is there a reason to evaluate neuropathic pain (i.e. pain which occurs from an injury or malfunction in the peripheral or central nervous system ) and nociceptor pain (i.e. pain which occurs from nerves sensing and responding to pain in parts of the body which suffer from damage); 6.) about the effectiveness of different methods to treat pain along with their side-effects; and 7.) whether how physicians treat pain should be consider objective evidence about the intensity and persistence of pain. The treatment for pain has changed. In the past, the first-line therapy for the treatment of pain was often a prescription for opioids. The use of prescribed narcotics alerted the adjudicators at Social Security that the intensity and persistence of the claimant’s pain was severe. The adjudicators next considered the effectiveness of the opioid and the side-effects. More recently, claimants are hesitant to agree to use opioids. Their hesitancy is based on the fear of becoming addicted to opioids. This concern for addiction is shared by the U.S. Department of Health and Human Services, Centers for Disease Control (the “CDC”). Recently, the CDC has made 12 recommendations regarding treating chronic pain. The first recommendation is: nonpharmacologic therapy (e.g. physical treatments like exercise therapy and weight loss; behavioral treatment and interventional methods) and nonopioid pharmacologic (e.g. acetaminophen and ibuprofen) therapy are now the “first-line” therapy for the treatment of the chronic pain. Presumably, Social Security will consider the CDC’s recommendations when it decides whether to change the way in which it evaluates pain in Social Security disability cases.